Sometimes, you may delete some important files; you even deleted and cleaned them from the Recycle Bin. Actually, there is still hope to retrieve them. You can follow this step by step guide to retrieve the deleted files on Windows System and Mac OS. This guide works for deleted files including iPod music, iPod Video, Photos, Movies, Videos, Word, Excel, Text, Apps, Document, etc. It’s easy to understand, even computer newbie can handle it. When your operating system deletes a file, all it really does is mark the space on your hard drive that your file occupies as free space. It’s still there, but your computer is now perfectly happy to write new data on top of it—at which point the file recovery process becomes a lot more difficult. That means you should do as little computing as possible until you find the file you’re looking for, since every time you save a new file—every time your computer writes information to your hard drive—your chances of recovering the file go down. You’ve a lot of really great freeware options for file recovery if you’re running Windows. 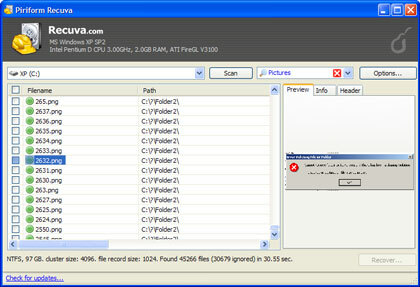 Notable apps include Windows File Recovery, Undelete Plus, PC Inspector File Recovery and Recuva. 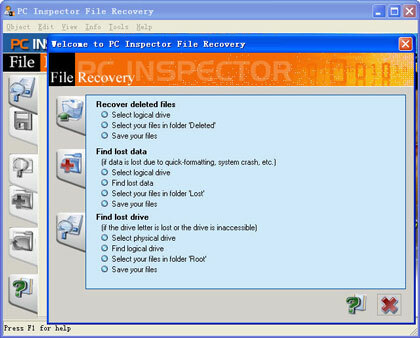 Windows File Recovery is the most user-friendly option of the bunch, with advanced filtering options that make it easy to find your needle of a file among the haystack of deleted garbage, but in my tests I found both Undelete Plus and PC Inspector File Recovery to be more effective at recovering files. 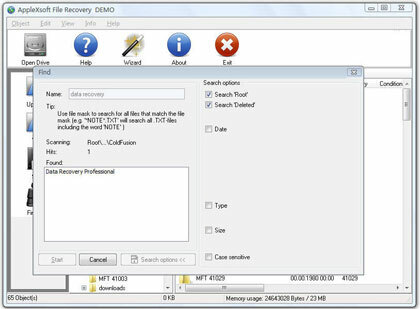 If you’re on a Mac and aren’t afraid to lay down a few bucks in the name of data recovery, the $99 File Recovery for Mac is the go-to application for file recovery with a friendly graphical interface. Once you’ve picked a tool, it’s time to scan your hard drive for your lost file or files. This process varies depending on the app you’re using, but it’s basically the same for all of them: Just point the program at the hard drive or folder that was holding your missing file and start your scan. Once the scan is complete, you’re going to see a big list of jumbled file names. Often most of these files are nothing more than system files that your operating system has created in the course of basic operation, and you won’t need to worry about them. You’re just looking for the file type and name that matches what you’ve lost. Once you find what you’re looking for, saving it is a matter of right-clicking the file and choosing where to save it. Went through steps one through three and still aren’t having any luck? It might be worth trying again with a different application, since there can be a lot of variation between apps. Whatever the cause of your lost file, the best method of data recovery is a good preemptive data backup plan. How to burn files to DVD on Windows? If you are Mac User, do yourself a favor: Get an external hard drive and flip the switch on the easy-to-use Time Machine. You can also follow this guide to burn video, music and photo to DVD on Mac.